Forgot my video camera but JT had a neat little contraption built with a HERO (sp?) camera mounted on it. He wasn’t going to fly so I got to take it up. It had a super wide angle lens. 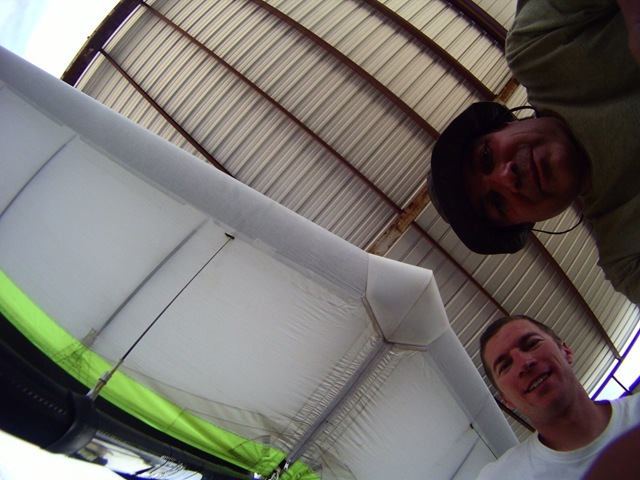 We’re not posing, we’re figuring out how the heck to get it mounted so I can deploy it in flight and retract it w/o causing myself any trouble. 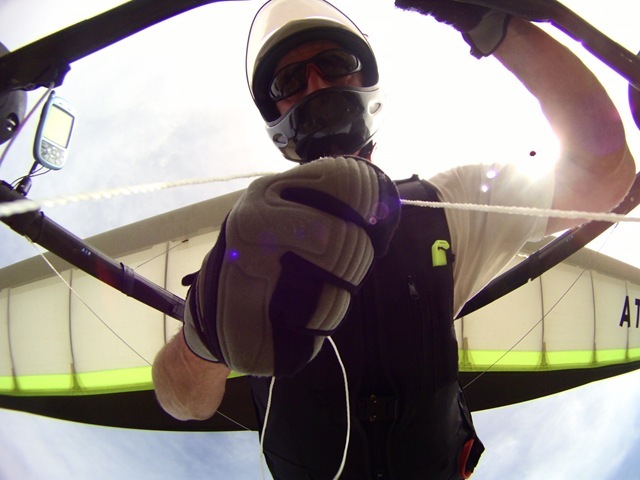 Neat shot of me’new Matrix Race harness. Wonder if there are ways to clean up the zipper pull, zippers, and the buckle bulge on my under side? Slick tho! So far, I love it, super comfy. Need to work on packing stuff better b/c zipping up has been tough. I have yet to use the storage spaces on the outside of my calves, which currently have lots of “filler” in them. Will remove that this w/e and put glider pads, harness bag, etc in those and that should make her easy to zip again. Wish the bottom of my basetube looked this shiney! Am I crazy, or does the blue sky look like the earth from outer space? 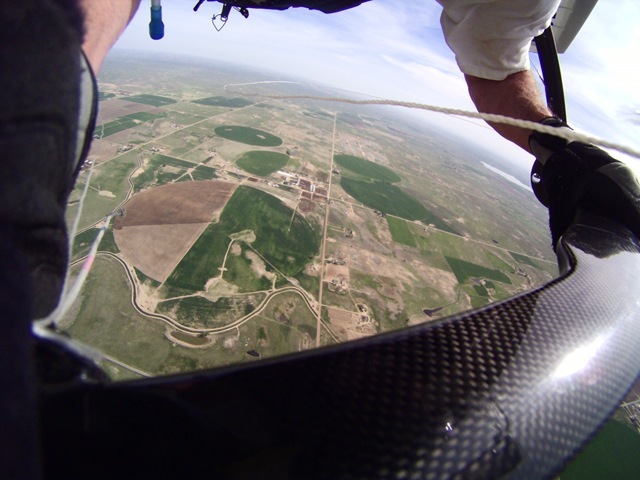 Aaanyway, it was a fun day Aerotowing with Colorado Airsports. 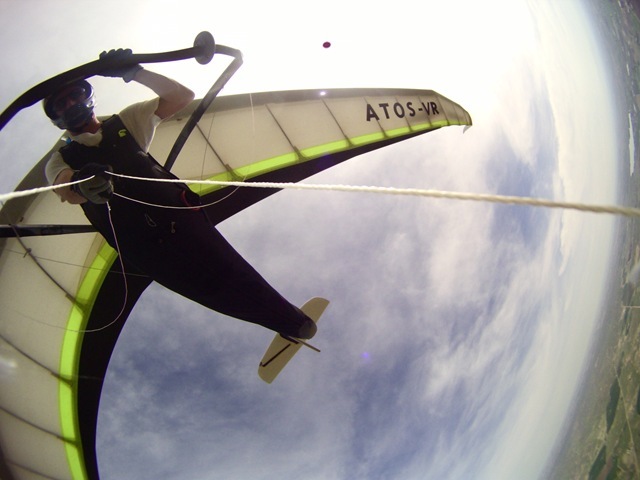 I adjusted the sail on one wing and then made some adjustments that made the Atos drive like a 50 year old truck. It had about 1ft of play in the control bar before actuating either spoileron. Pretty stupid on my part. 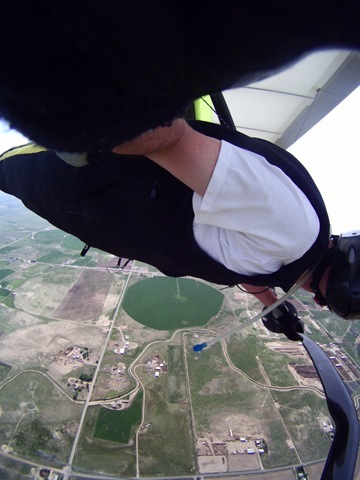 Landed, fixed it, got other things ironed out too like moving the microphone to the side in my helmet so I didn’t blow out everyone’s ears when I speak. My 2nd of 3 landings was the 2nd worst pile in I’ve ever had. 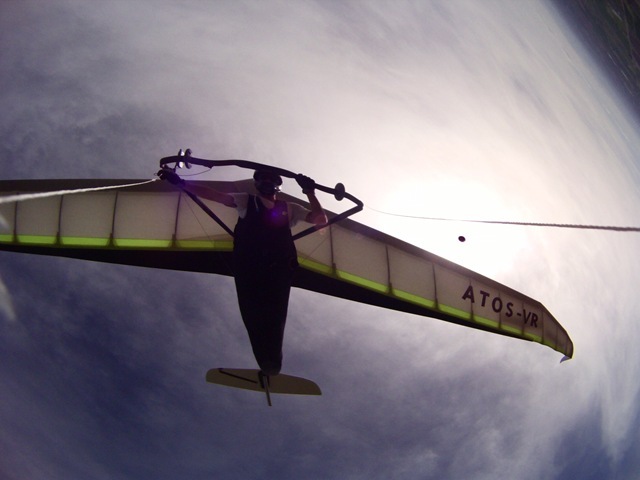 Glider and me are fine though… I had a half brained approach, landed downhill in no wind on a hot day and just tried to flare too early, pulled it back and on my second try, not enough speed to get’r’dun. 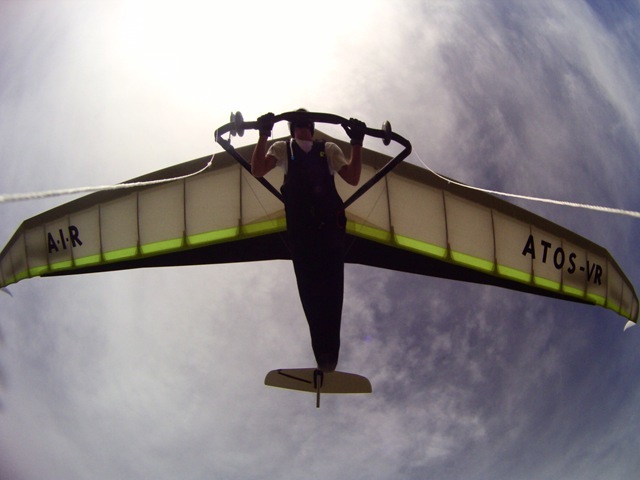 Just pushed the glider in front of me and hoped that there weren’t any earthquake alarms.